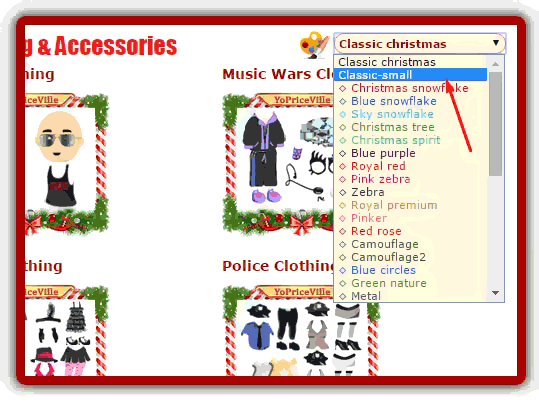 Find "Select Style" in "Items Category" or to the "Search" page on our priceguide. 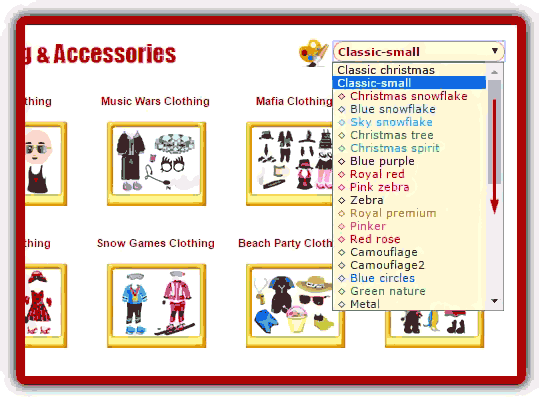 Click and Select "Classic small"
The classic small are four gold small frames on one line. Now change Style to "Groovy". 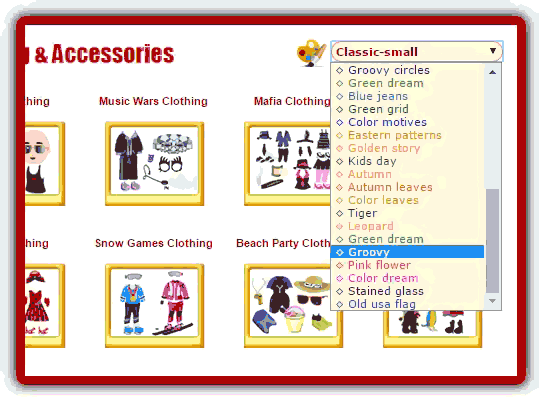 Go to Theme selector and find "Groovy". 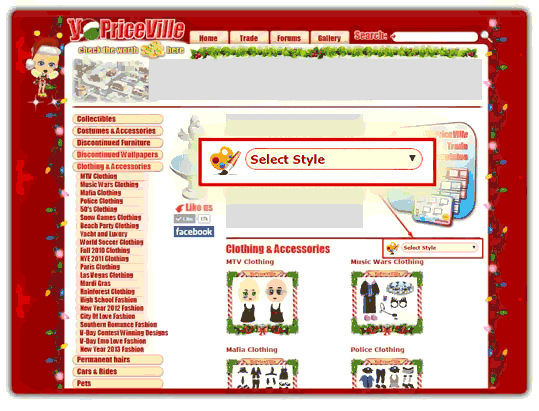 Here is how the Groovy Theme looks in YoPriceVille. Now You can test all Styles. Have Fun.